My 12-year-old celebrated her birthday a few weeks back, but we’ve only just got around to having her party. And when you have a birthday party, you have a birthday cake. I’m lucky to have met my friend, Loz. Not only is she absolutely lovely, she is also fantastic at making cakes. Whenever the kids know their birthdays are coming up, they inevitably ask if Loz can make their birthday cake. Brooke was no different this year, though unusually she passed the finer details of the cake over to her elder sister, Charisma. The result was a surprise for Brooke, who never saw the final result until the day of the party, and even more of a surprise as she actually received two cakes - One which was lactose-free (as Brooke has a milk intolerance) and another which was larger and complete with dairy goodness. 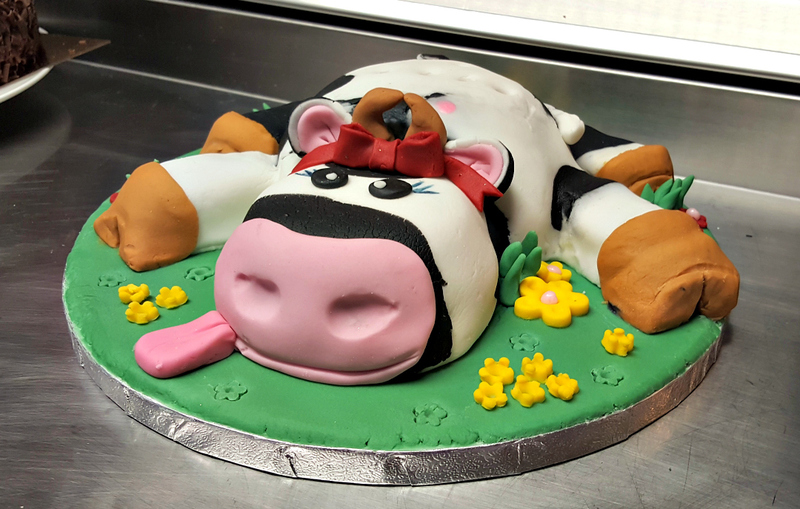 The photo below is the smaller of the two, and a play on Brooke’s nickname at home, which is Moo, hence the birthday cake cow. Not only did both cakes look great, but they also tasted fantastic too, and Brooke was over the moon which is the main thing! You can see all of my other “My Sunday Photo” posts by clicking the picture below. Amazing cake. I hope it was delicious! Happy Birthday to your daughter. Wow, that’s fabulous! I think anyone would be over the moon with that cake. That is a fantastic cake. My daughter is nicknamed moo too! gorgeous cake. so cute and colourful. and so much fun. happy birthday to the birthday girl.